A musician fed up with his life has today been barred from selling his soul to the highest bidder on eBay. Dante Knoxx, 24, of Bournemouth in the UK offered his "used" soul on Ebay for a starting bid of £25,000.50 - or a Buy It Now price of £700,000. But eBay have today (15 December) pulled the listing. 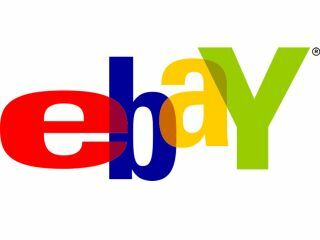 The auction had two hours to go and no bids had been made, but eBay said Knoxx's auction breached one of the firm's policies. "You cannot sell anything that is not physical," said Mr Knoxx, according to a Press Association report. "That includes ghosts, souls and spirits which is funny. "I have been refunded but I had 200 people watching it, I'm really disappointed by that. "I had lots of emails asking if I was serious and religious groups telling me I couldn't do that, others wanted to talk about my soul. I had a lot of interest, but no actual bidders which is a real shame." Knoxx was planning to use the money to get his group, Paradigm, off the ground. Paradigm are also hawking their Global AlbumProject on eBay. Knoxx's proposed auction included a legal contract entitling the new soul's owner to a percentage his income for the rest of his life, with a guaranteed minimum of £1,000 per year. Another clause entitled the owner to 10% of any intellectual works of Paradigm. A final clause also stated Mr Knoxx could buy back his soul for £100 million. Listen to Knoxx's project, Paradigm. It's not soul music.